More than 25 years of experience in the industry, our expertise and experience are derived from our craft work in cabinet making and joinery. This is reflected in the quality of the products we provide to you, our customers. 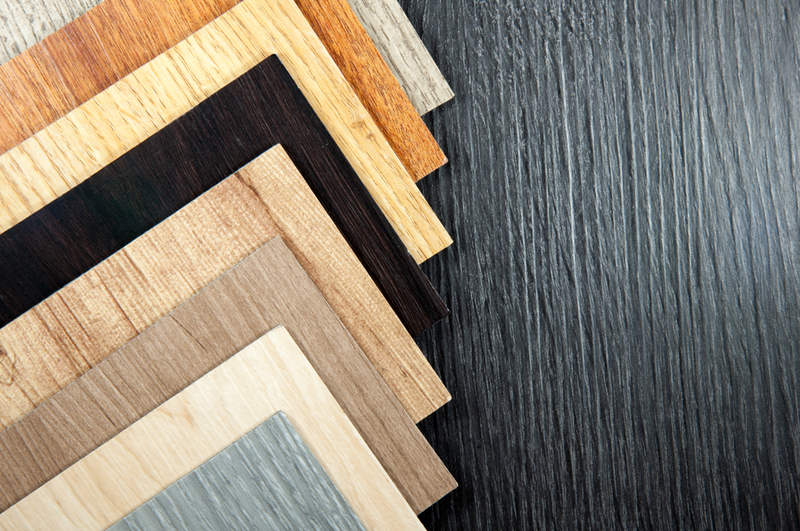 We offer three types of Wood Flooring: Solid Wood, Parquet Flooring and Engineered Wood Flooring. 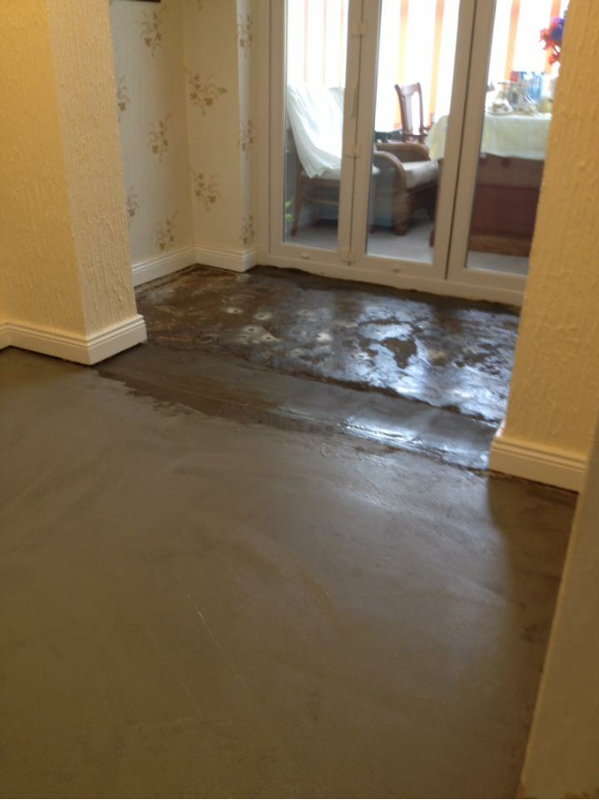 Laminate flooring is a highly cost-effective way of giving your home a hardwearing long lasting contemporary flooring. We stock and fit a range of carpets. These include wool blends with nylon, fiber-loc with hessian or polypropylene. 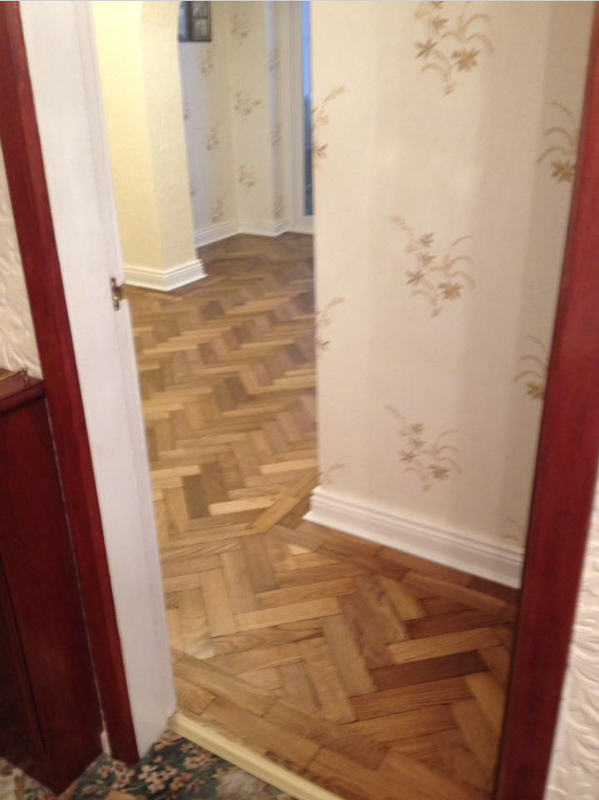 We are a long established bespoke flooring company based in Standish, Lancashire. With more than 25 years of experience in the industry, our expertise and experience are derived from our craft work in cabinet making and joinery. This is reflected in the quality of the products we provide to you, our customers. At Inspired Solutions, we understand that quality does matter along with value for money, in equal proportions. 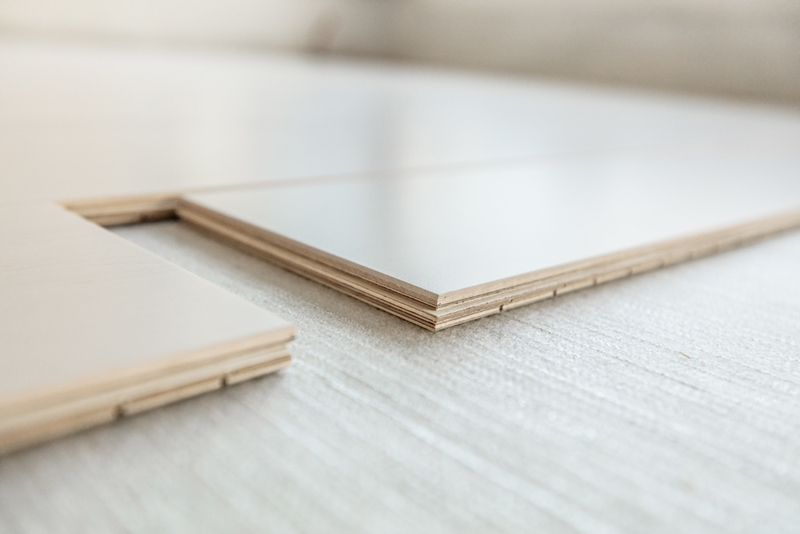 At Inspired Solutions we supply and fit a full range of flooring solutions from solid hardwood, engineered wood and laminates through to carpets and vinyl flooring. 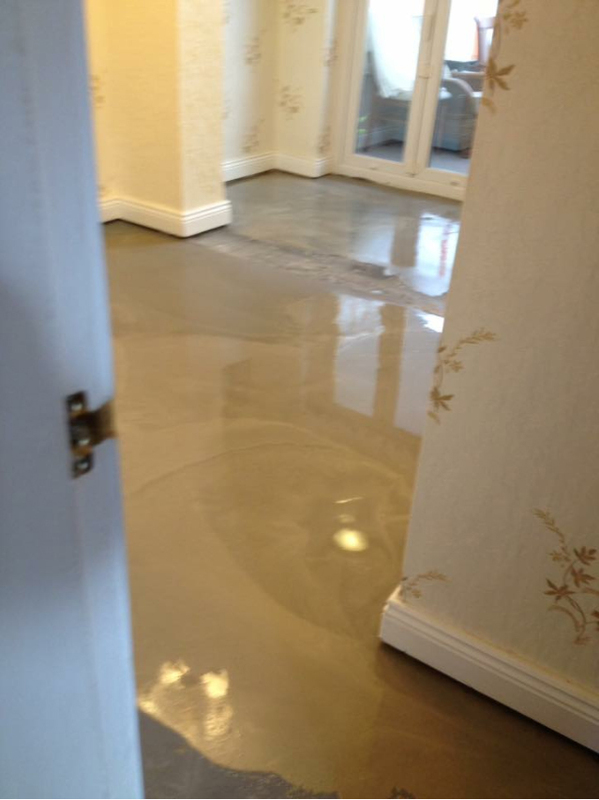 So whatever your requirements you can be safe i the knowledge that we are able to meet your needs with high quality flooring and an excellent fitting and aftercare service. 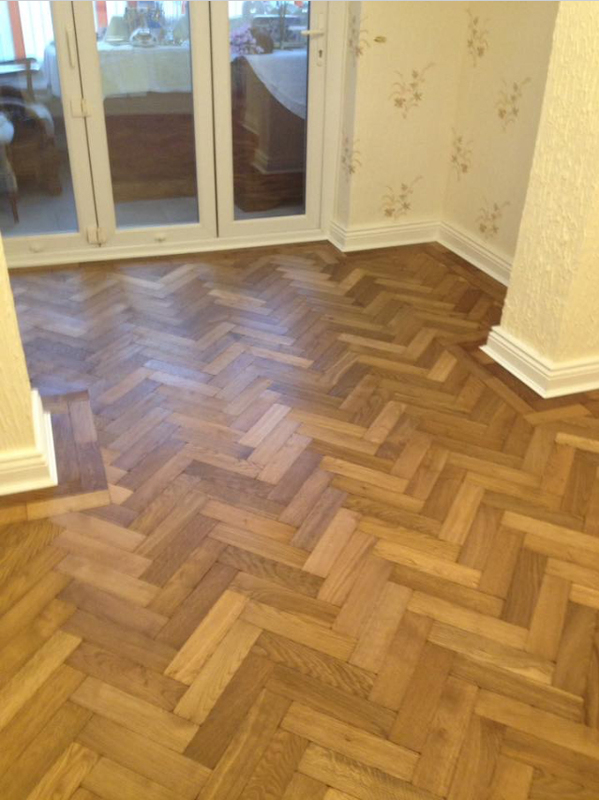 Parquet flooring is often seen as the height of wood flooring. 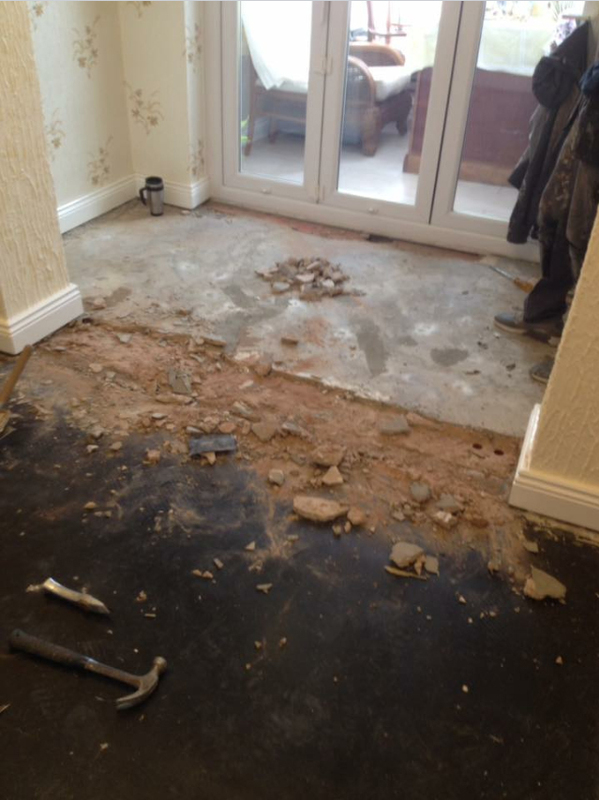 Our fitters specialise in this type of floor and are constantly learning new ways to add even more definition to their work. Currently we offer the addition of a Wenge strip which borders our exquisite floor. Creating one of these bespoke floors is a speciality in itself but the addition of this walnut often creates a perfect look for many homes and is the ideal sight for someone walking into a home for the first time. This artistic way of flooring ensures that you have something even more unique than a standard wood floor. Parquet flooring was originally introduced to replace marble flooring and allows for the unique mosaic style patterns that stone can be cut in to. They are created using a mosaic effect of placing blocks of wood together which are then fully bonded. The floors themselves are seen around the world in castles and palaces to massive basketball arenas. Their durability is one of their defining features and they require minimal maintenance. Often seen in hallways they are the perfect addition to any home. This is a luxurious option providing a unique floor every time. 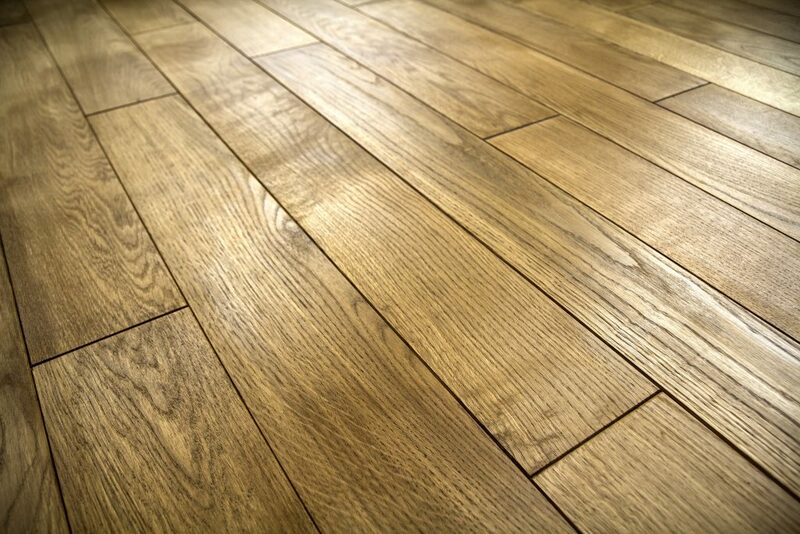 Our solid wood flooring is sourced from the very best manufactures from around the UK and Europe. A solid wood floor is designed to last a lifetime and become an integral feature of your home. 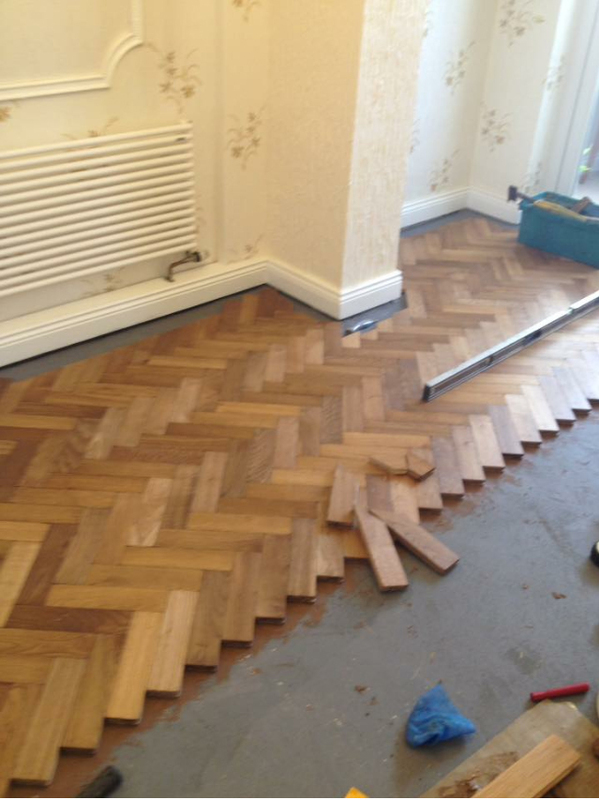 We are expert in the preparation, fitting and finishing of solid wood floors, providing a perfect result for your home. This is a fantastic, great value alternative to solid wood, providing a very high quality, engineered finish which is consistent and stable. 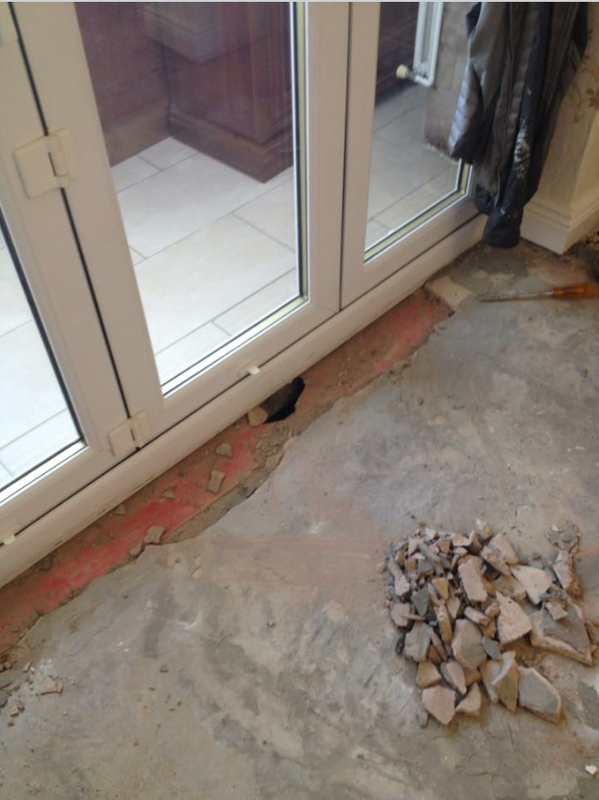 They are structural and load bearing and are suitable for use with under floor heating. We supply a wide range of finishes of Oaks and Walnuts with a range of thicknesses from 14mm to 20mm and widths from 125mm to 260mm. Laminate Flooring is a highly cost-effective way of giving your home a hardwearing, long lasting contemporary flooring. The ranges we supply and fit come from Europe’s leading manufacturers; Quick-Step and Finfloor. The choices of finishes available are huge, giving you a wide choice that will suit your needs exactly. And with prices from just £14.99 Sq. 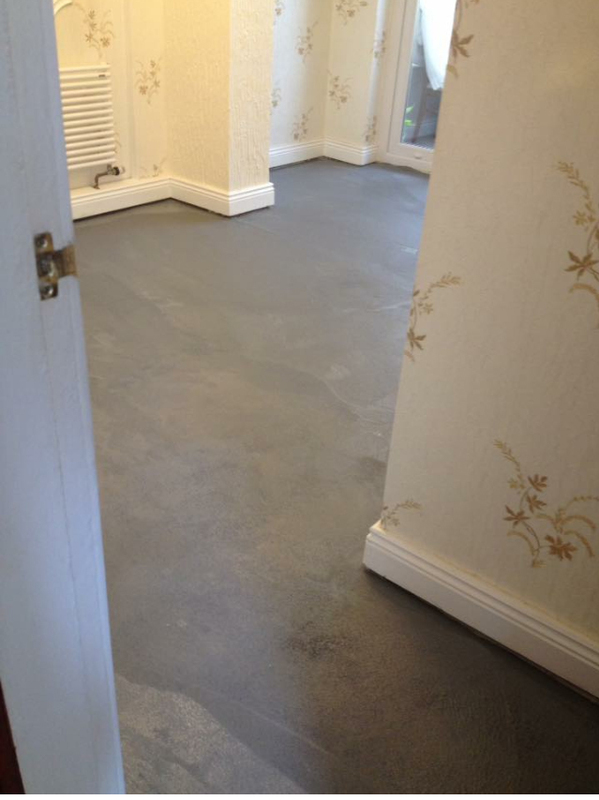 Metre (excluding fitting) they are a great way to get a fantastic floor at a great price. 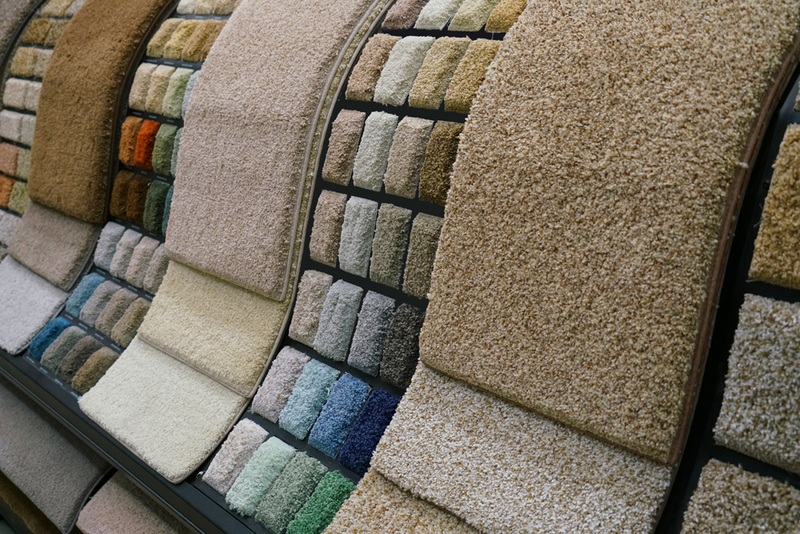 The choice of carpet is still a very popular choice for many of our customers who appreciate the cosiness and warm that only carpet under your feet can give. We stock and fit a range of carpets. These include wool blends with nylon, fibre-loc with hessian or polypropylene. We also stock full polypropylene carpets which are stain resistant, bleach washable and very durable. The highest quality range we have is also Scotchgarded which means that these carpets are water repellent but still maintain the luxurious texture of wool. Every floor shows wear over time but with our products, equipment, and experience we can rejuvenate a tired looking floor and make it look brand new once again. We are BWFA certified in sanding and bring our own machinery to the job to ensure the quality of service. 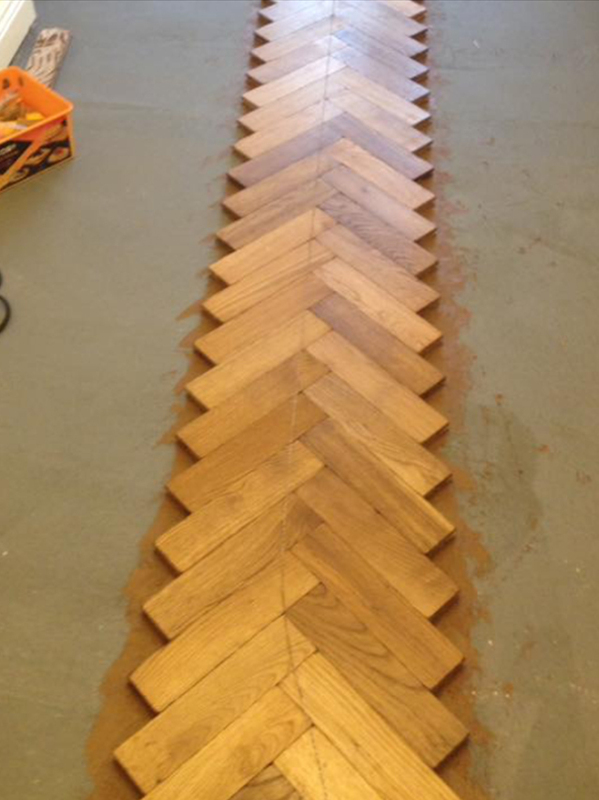 We specialise in restoration of herringbone parquet floors. At Inspired Solutions, we pride ourselves on the knowledge our staff has on products and services we can provide. We have traveled extensively around the UK and throughout Europe to view our products being manufactured to ensure we are only endorsing quality materials. Therefore when we recommend any product the customer can be safe in the knowledge they are receiving the very best products at the very best prices. Our experience in our craft of handling raw materials means that we cannot be deceived with poor quality alternatives that some manufacturers may try to sell to our customers. We also strive to remain on the cutting edge of our craft going on courses to maintain our high quality of workmanship. Or simply fill in the contact form and someone will get back to you within 24 Hours.